For years, the Toyota Corolla has been the automotive industry’s most popular sedan. Now the Corolla is set to be the industry’s most popular hatchback with the introduction of the 2017 Toyota Corolla iM. The Toyota Corolla iM has all the incredible features of the Corolla sedan, but with the added benefits that come with a hatchback. 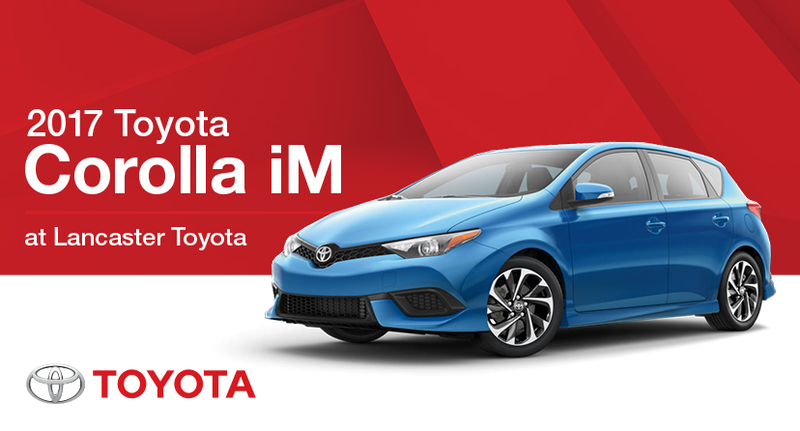 If you are looking for the space that a hatchback can provide, but don’t want to sacrifice the amazing features of the Toyota Corolla, then Toyota has a solution for you: the Toyota Corolla iM. Find the perfect 2017 Toyota Corolla iM to suit your needs at Lancaster Toyota.